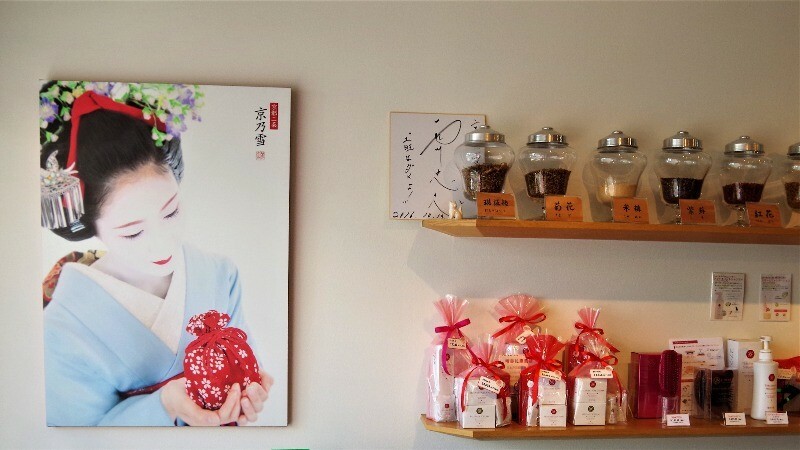 When it comes to Kyoto, most people probably think of shrines and temples, matcha and maiko. If you’re lucky, you may catch the splendid sight of a maiko walking on Hanamikoji Street in Gion. But have you ever wondered how the maiko manage to take care of their skin under all that white makeup? Close to Nijo Castle in Kyoto, you can find the cosmetics shop Kyonoyuki, which specializes in cosmetics made with 27 oriental herbs, and which have anti-aging and anti-wrinkle properties, and help keep your skin white, and for these reasons, the cosmetics of Kyonoyuki are also preferred by maiko. It’s also because they only use natural ingredients, that the products of Kyonoyuki can also be used by those with sensitive skin. They have all kinds of products on sale in the shop, and each one of them can be tested before purchase. 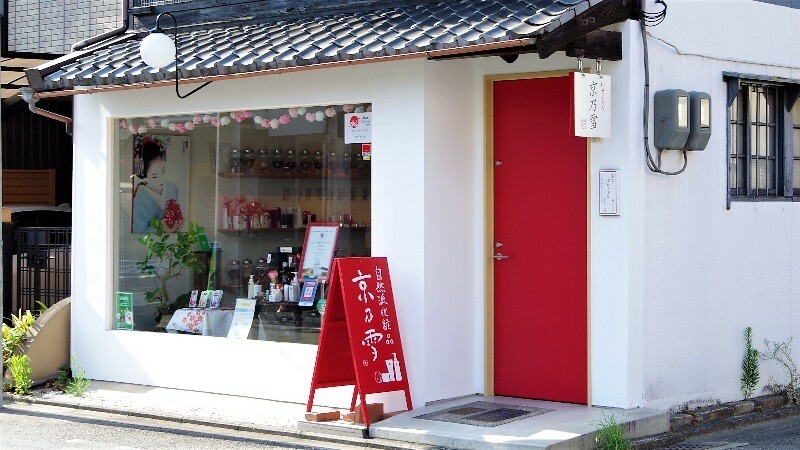 With the kind help of the staff, you get to try the effects of Kyonoyuki’s cosmetics right there at the shop. They have pamphlets about the products in English and Chinese, so even if the staff can’t explain you everything, you can read about the products and find one that fits your needs. Do you want your skin to be whiter? 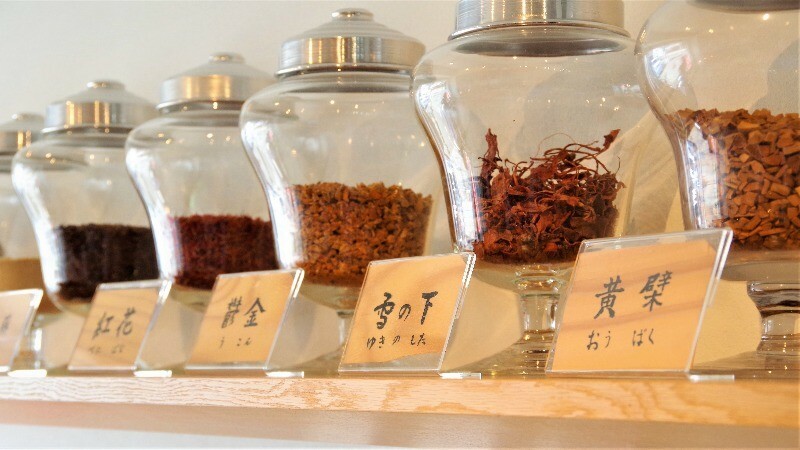 Then you should give the natural cosmetics of Kyonoyuki a try! Kyonoyuki was founded in 2004, during a time when a food scandal made the Japanese people more interested in food safety than ever. This is why Kyonoyuki uses only natural ingredients and oriental herbs in its cosmetics. Kyonoyuki takes the saying “A balanced diet leads to a healthy body” very seriously, and considers that food notorious for the body is also good for your skin. Even though it takes a lot of time and effort to make products in this way, the results speak for themselves. Even the maiko of Kyoto trust their skincare to Kyonoyuki. This is why the skin of maiko is always flawless even under all that white makeup. 1Made from 27 oriental herb extracts gathered from all around Japan Extremely moisturizing, the 27 different oriental herbs in Kyonoyuki’s products are all natural, carefully selected, and gentle on the skin, and what’s more, also make your skin whiter. 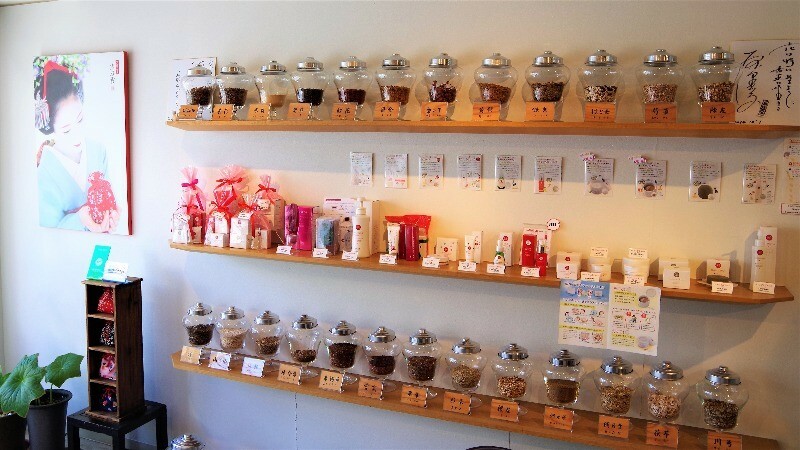 These oriental herbs come directly from contracted farmers all over Japan. 2Made using the pure water of Kurama The herbs are actually soaked in spring water of Kurama, and not boiled, so the essences are extracted by placing the herbs in jars full of water for a very long time. This takes a lot of time and effort, but by doing it this way the natural ingredients help your skin in the best way possible. Top 3 most popular products at Kyonoyuki! 1Massage Cream – Smoothens your skin and exfoliates old skin The most popular product and the product with the most repeat customers is their Massage Cream. The cream contains 27 types of oriental herbs and four moisturizing compounds. The essences of Massage Cream revealed! You can try this product at the shop, and for me, the staff first told me about the products and then helped me use them. After using the product, I felt a pleasant scent of peppermint and felt very relaxed. I used the product only on one hand, and after using it, compared my other hand to the one that had received the treatment – and lo and behold! The difference was obvious, my skin was just glowing. This is a basic treatment that will help the oriental herb extracts penetrate your skin. 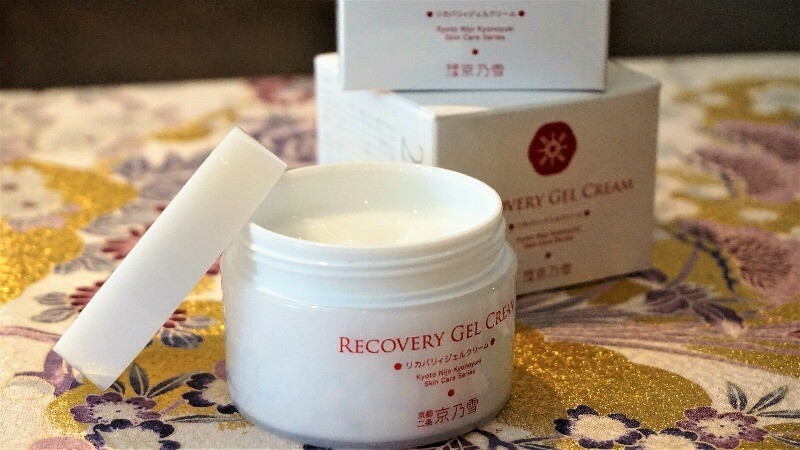 2Recovery Gel Cream – Protecting and moisturizing After the exfoliating Massage Cream, it’s time for the protective Recovery Gel Cream. This cream actually contains both lotion and milky lotion, so it’s a two-in-one that with 27 oriental herbs and four essences. This is great for those with busy lives but who still want to take good care of their skin. The oriental herb extracts provide firmness and prevent rough skin, helping your skin retain its natural glow. 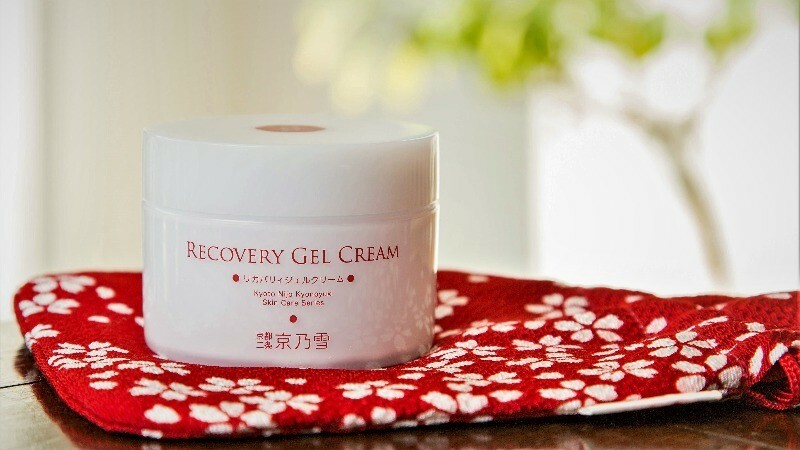 The essences of Recovery Gel Cream revealed! Take a small amount of the cream, and after gently applying to your face, your face will feel incredibly moisturized. Because the viscosity found in okura frown in Kyoto’s Kamigamo area, the moisturizing effect also lasts long. The pearl in the cream helps the skin contain more water. For many busy women working in offices with the air conditioning set on too cold, this product is a thing you can’t live without. Use this product and you’ll definitely have nicely moisturized skin! 3Original Essence – Plumps the skin by providing firmness and glow The usage of anti-aging products should be started early! By using this moisturizing and anti-aging cream which contains 27 different oriental herb extracts and two essences, Asian ginseng and grape seed extract, you can help protect your skin against aging, wrinkles, and give your skin a natural glow. The essences of Original Essence revealed! Asian ginseng: Improves blood circulation and metabolism of the skin, helps the skin cells recover, and has an anti-aging effect. Grape seed extract: Rich in polyphenol, helps the skin contain moisture, reduces wrinkles. Anti-aging and improves skin elasticity. 1. After washing your face, apply Recovery Gel Cream on your face. 2. Put one or two pushes of Original Essence on your hand and spread it on your face. This Original Essence is very light, not at all sticky, so it’s absorbed by skin right away. As my work takes me into many places, I feel like my skin is a bit too dry. But after using this Original Essence, it all changed! Just using it on one of my hands, the difference was palpable. It was almost shocking; you really have to start using anti-aging products as early as possible! In this very Kyoto-like pouch you have four of the basic cosmetic products of Kyonoyuki (enough for one week). This set is the perfect travel companion. Or if you want to give one to your friend too, then buy two! Besides the two aforementioned cosmetic products (massage cream and recovery gel cream), this set also contains cleansing oil and natural soap. Cleaning oil 20ml: This is a makeup remover that contains 8 kinds of natural plant oils. It removes makeup and dirt and leaves your skin moisturized. It has a faint fragrance of lavender. Natural soap 15g: This soap is rich in moisturizing and beautifying ingredients. The creamy foam will help moisturize your skin and when washed off without irritating your skin. Vanessa’s comment: As I am getting older, I have started to pay greater care for my skincare and the cosmetics I use. When I heard about Kyonoyuki, and that the geisha and maiko of Kyoto use their products, and that they’re made using oriental herbs, and that they’re natural and additive-free, I just had to go try them myself. They had staff who could kindly tell me about the products and how to use them in Chinese, so I didn’t have to worry about the language barrier at all. You can test all the products. When I went to the shop, the staff helped me use the Massage Cream to clean my hands. Then I got to use the very moisturizing Recovery Gel Cream, and lastly, the beautifying Original Essence. When using these products, the nice smell of oriental herbs made me feel relaxed. Look carefully at this picture! As you can see, after having one of my hands receive the treatment, the difference is easy to see, and it also feels as if the small wrinkles in my hands had disappeared! Because the cosmetics are very light, my skin absorbed them right away. If you keep using these cosmetics, I’m sure that you could have a perfect, beautiful face with white skin! Not only can you buy things tax-free, by clicking below, you can also use Sharing Kyoto’s Special Coupon. Where can I buy Kyonoyuki’s cosmetics? Close to the World Heritage Site of Nijo Castle, in a traditional Kyoto townhouse-like building with a red door, you can find Kyonoyuki with its warm atmosphere. 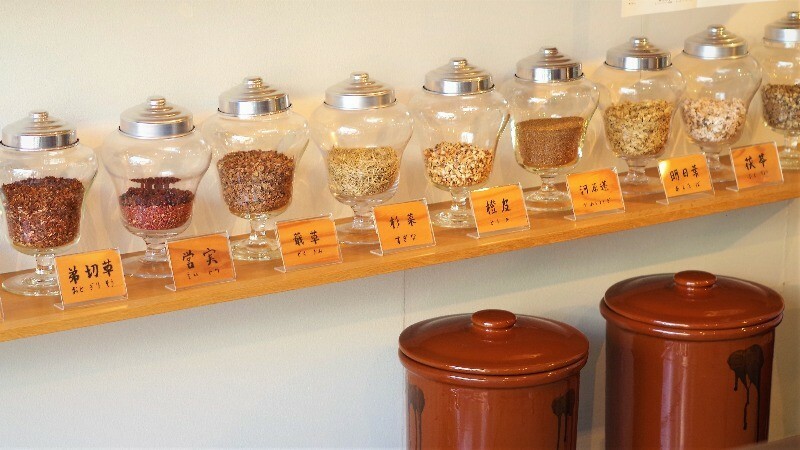 They have all kinds of products on their shelves, but they also have all 27 kinds of oriental herbs they use in their cosmetics on display at the shop. They also have staff who can speak Chinese and pamphlets in both Chinese and English, so you don’t need to worry about the language barrier. If you want to buy Kyonoyuki’s products even after you go back to your country, you can also order them online! Open hours: 10:00 a.m.-6:00 p.m.
Closed on Wednesdays, the Obon holidays in August, New Year's, and also for irregular holidays. Access: A 3-minute walk from subway Nijojo-mae Station’s exit 2. Because of my work, I’m often outside under the sun for long periods of time, which leads to my skin getting dry and also to some small wrinkles. After using the travel set of Kyonoyuki for a week, I could see a big difference in the condition of my skin. Because I used the moisturizing Recovery Gel Cream, my cheeks, which originally were very dry, recovered their glossiness and moistness. I easily get pimples, so I don’t usually use a cleansing oil, but Kyonoyuki’s cleansing oil is made with oriental herbs, so it’s very gentle on the skin, and after using it your skin will feel very springy, so I can see why maiko like to use it! So by using Kyonoyuki’s natural and additive-free cosmetics, let’s become beauties with well-moisturized faces!